Welcome to PrAna Divers…and the best scuba dives you’ve ever had! As you will soon discover the dive sites around Bohol and Panglao Islands are a scuba diver’s dream come true. The warm, crystal clear waters here offer a wide variety of habitats with spectacular displays of stunning corals and a diverse range of exotic fish and marine life. At PrAna Divers we’ll give you a holiday experience you’ll never forget! Some of the most beautiful dive sites in Southeast Asia are right here just waiting for you to jump in and enjoy! 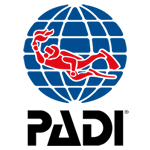 We are an accredited PADI dive center and offer Fun Dives, discover scuba and a wide array of PADI courses. 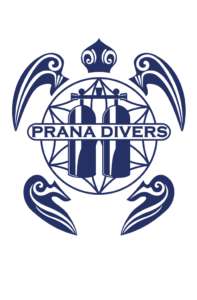 PrAna Divers specialise in small groups (maximum 4 divers per guide) to ensure you get the best possible experience and personalised service. All of our professional instructors are highly experienced and dedicated to scuba diving. They speak English, French, German, Dutch and Spanish. We have a great reputation for safety and provide only quality, well-serviced equipment. Our dive instructors can teach in your native tongue. English, Spanish, German and French. Our instructors are patient and have trained divers from China, Korea and Taiwan.